With summer on the horizon, many holidays are being booked. Now more than ever people are bringing along their dogs as travel companions. As a result, many dogs are getting the opportunity to go abroad and soak up global culture with their owners. Whether you and your dog are US or UK based, this article will cover the best dog travel products for going abroad with your furry friend. 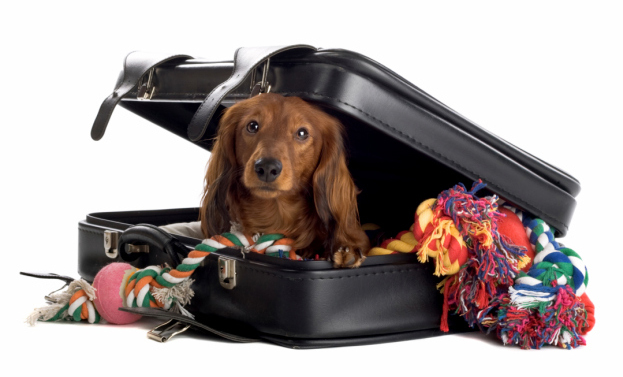 The Ultimate Dog Travel Packing List will help you pack, but this article will help you SHOP! Like humans, dogs need extra water when they travel. If you have ever been stuck with a panting and thirsty dog on holiday, you know how guilty it can make you feel. Never leave your home country without a collapsible water bowl on you at all times. Of course, a large bottle of water should also be available to your dog and you) at all times. The Ruffwear Bivy Bowl is on our list of the best dog travel product for traveling abroad. This bright orange bowl will be easy to find in your luggage when your dog needs extra hydration. The bowl is watertight, stable and incorporates a non-slip base. Don’t leave the country without an extra leash and collar. Leashes and collars can easily left on a plane, boat, car, or taxi. If you are in an unfamiliar destination, worried about your unleashed dog, the stress will be tremendous. You can also use this as a chance to spice up your dog’s look. 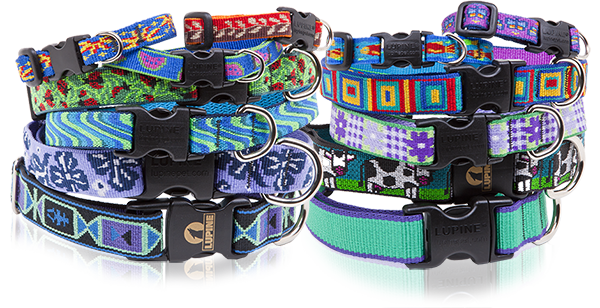 A dog collar and leash from Lupine is the perfect choice for your dog to make a statement. This collar is an excellent choice for male and female dogs as the color options, and unique designs are endless. What we LOVE about these collars is they are guaranteed for life, even if chewed! There are many calming treatments on the market to make travel adjustment easier on your dog. 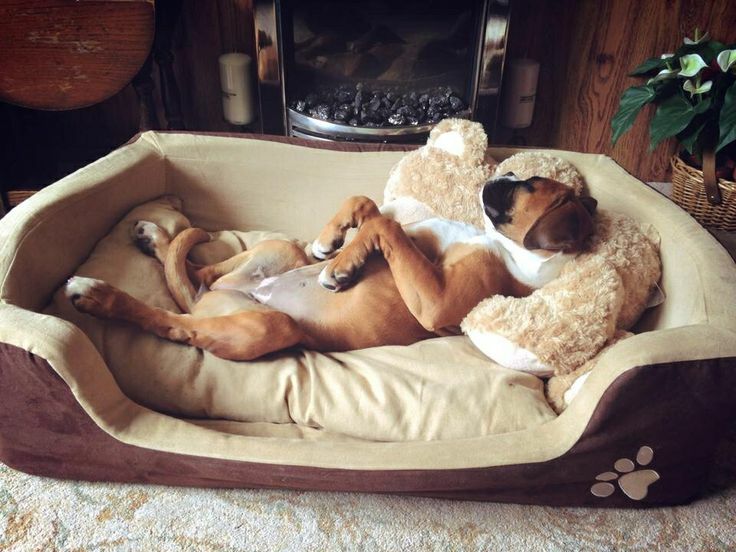 There is no doubt, that many, many, many dogs will needs a little help adjusting to their holiday destination. When traveling abroad, your dog will dog from their familiar home to a scary plane. When they get off the aircraft they will be in a foreign land. New people and new smells will be everywhere. They will enter an unfamiliar cottage or hotel and sometimes be left alone as their owner scopes out the new surroundings. The go to calming remedy for dog owners is Rescue Remedy Pets by Bach Flower. It has been used for over 80 years and does wonders for Works wonders for animals that are fearful when traveling. It is 100% safe for your pet. Simply add 2 drops in your dog’s drinking water and you will see results right away. Traveling abroad requires lots of planning and your dog’s pet carrier is no exception. Consider ditching the old, worn out carrier gathering dust in your garage and splurge on a new carrier that is designed for international travel. Remember to check with the airline you are flying with to determine the proper dimensions of your pet’s carrier. The Sleepypod is seriously revolutionary. It is designed to accommodate most airline restrictions and comes in a variety of vibrant colors. The Sleepypod adheres to the strict safety measures in place to protect furry friends when flying and is made with top quality materials. It also has additional straps so it can easily be buckled into a car. What is a holiday without a new Hawaiian shirt? Regardless of where one travels, a Hawaiian shirt is the ultimate way to announce to the world that you are on vacation. Your dog should enjoy expressing their joy through their wardrobe as much as anyone else! 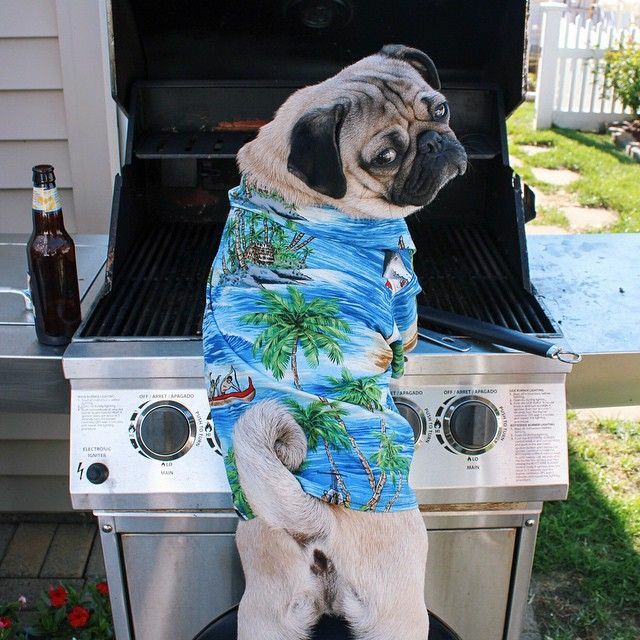 A cool Hawaiian shirt will also help your dog stand out as the ultimate tourist and they will likely make lots of international friends. Even if your dog is the best swimmer on the planet, they will need a life jacket if you are traveling anywhere near water. Day after day of water activities will make your dog exhausted, making a life jacket essential. Life jackets are especially important if and your dog plan on boating or cruising during your holiday. Life jackets are especially important for dogs with low body fat, senior dogs, and dogs with health or mobility issues. When buying a water jacket it is import to look for a bright color, buoyancy, handles, and the proper size. Make sure your dog is comfortable in the life jacket, can sit and lie down comfortably, and can relieve himself easily. The Ruffwear – K-9 Float Coat for Dogs regularly ranks the best life jacket for dogs. The Ruffwear float coat is a premium coat that fits dogs of all shapes and sizes and is definitely one of the best dog travel products you can buy. It has a sturdy handle optimally positioned for lifting your dog out of the water if necessary. The reflective trim offers enhanced visibility both in or out of the water. If this article gave you some shopping ideas for your upcoming holiday, please SHARE it with anyone who is planning to travel their dog!